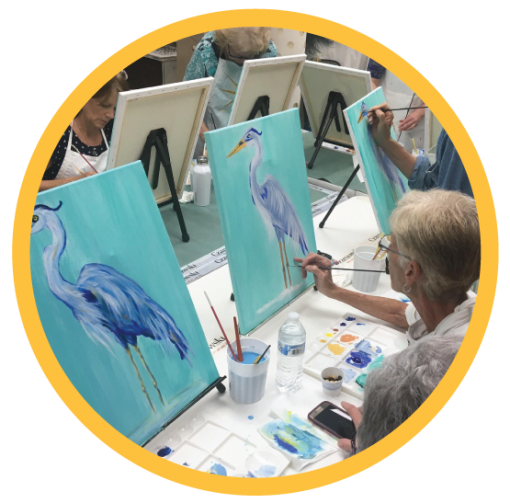 Gather up to six of your friends and enjoy a private art party in the studio. You choose which class you want to experience and we supply the rest. We even come to your home or place of business for groups of seven or more. You pick the setting and gather the artists, and we provide all the supplies! Private events are perfect for birthday celebrations, office outings, retirement parties, or “just because”!